I initially started writing this blog about winter and how it has kept its long, cold grip on us longer than any of us would have liked. 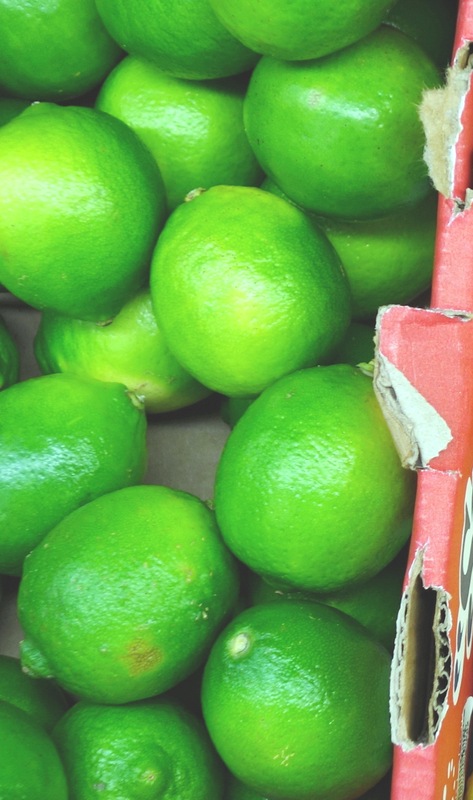 Then, in looking at weather patterns, I ran across a couple of articles regarding the lime shortage. I don’t know how many of you were even aware that there was a lime shortage, but there is. I knew something was up a few months ago when the prices of limes skyrocketed. They went from the usual 4 or 5 or 6 for $1 to 2 for $1. That is a major jump in price. I kept wondering what was up with the lime harvests. Was there a disease affecting lime trees? Or was the brutal weather to blame for the shortage? As it turns out, it’s both and neither. Yes, heavy rains wiped out some crops, and a bacterial tree disease called huanglongbing has killed many crops (I did not make that up). But it seems that drug cartels in Mexico are the biggest problem. Now, although this disturbs me on a human/justice level, it also disturbs me as a food person. Food looms large in my life and there are certain things I just can’t have without lime, like avocados and papaya. The idea that I can’t have a food that I utilize often and enjoy because a bunch of drug lords aren’t satisfied with the mansions and 10 cars each that they already have galls me. It enrages me. But there’s nothing I can do about it. I broke down and bought limes at 2 for $1 a couple of times because I had these huge payapas to eat and I really needed them. But that can’t continue. I’ll have to make due with lemons until this cartel things gets under control. As a writer who incorporates food into her work, I can’t help but be affected by changes, developments, and news in the food world. When I can’t get the foods that I want or need, it really puts a crimp in my style. Plus, papaya helps with digestion and avocados have proven to have anti-inflammatory and heart disease-fighting properties. So, without them, I could potentially be sitting here writing and suddenly become bloated with terrible gas or become inflamed somewhere, and then how could I continue writing? Ever try to write with gas? It’s distracting. So, please put out good vibes that this lime cartel thing will come to an end soon. I’m really behind in my writing projects. Sigh. This is why we can’t have nice things.